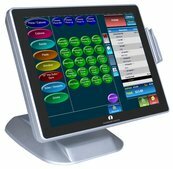 As the manufacturer of the Harbortouch touchscreen POS hardware, the developer of the robust and intuitive touchscreen POS software, and a leading credit, debit, and gift card payment processor, we are currently able to offer these state-of-the-art POS systems to you with no upfont costs, leases, or purchases! All restaurant/bar and retail merchants can qualify for our FREE, high quality, built-for-purpose, Touchscreen POS systems. * Save tens of thousands of dollars and never have obsolete equipment or software again. Finally, a low monthly fixed cost solution, for high quality touchscreen POS system bundles, with unlimited 24/7 support, daily data backup, lifetime warranty/replacements, parts, labor, on-site repairs, software upgrades, and more. The low $2.28 a day to own per bundle includes your Monthly Service Agreement and Quarterly Support fees. No surprises. Effective October 15, 2014: After 36 months, you will OWN the POS equipment and have the option to keep all of the same lifetime warrantied replacements, software updates, and more, but for ONLY $0.62 per day per POS system bundle! We are not POS resellers or dealers, but your vested partner, and we will make sure your Harbortouch POS systems are operating 24/7. On July 15, 2013, Harbortouch Free POS and Tabbedout joined forces. Now, all of our Harbortouch Free POS Touchscreen Hospitality bundles will come integrated with Tabbedout's mobile payments, customer loyalty and marketing-engagement module for managers and owners to increase sales and customer satisfaction. No additional hardware is needed. View some short videos here on our new Tabbedout integration with our Free POS program. Click Tabbedout Free POS Integration video, and Tabbedout Periscope video. We also have a FREE Reservations Feature built-in to your Harbortouch POS, which will allow guests to make online reservations. Additionally, the Harbortouch Hospitality POS will make waitlist or "your table is ready" notifications, via automated calls or texts to customers, for FREE. You will also be able to manage your reservations from any of your Harbortouch POS Systems or iPads (Free!). Finally, Perkwave, our mobile smartphone payment and loyalty application will be available late 2013. Please view some of our Free Touchscreen POS DEMO Videos on this website, click POS DEMOS. Or click Touchscreen POS Webinars to sign-up for our no obligation, weekly, Live Internet Webinars of our Harbortouch Touchscreen POS Hospitality solution in action. Bring your questions or just watch and then ask questions. Sign-up today to reserve your spot, before they fill up! To watch a short restaurant merchant video testimonial click Harbortouch POS System Testimonial . Click here for a new Sports Bar & Nightclub merchant testimonial. We are your end-to-end solution, with USA based 24/7 support and services. Contact Free POS Pros at 1-888-834-2561 #101 (8am-8pm) PST, or click Touchscreen POS Systems today! With five software options available: one for retail, one for restaurant/hospitality, one for salon and spas, pizza and delivery, and quick serve, each touchscreen POS system is fully customizable to suit your unique business needs. Harbortouch offers integrated payment processing and a wide range of robust features specific to the retail and hospitality industries. These features will allow your business to run smoother and more efficiently. This advanced touchscreen POS system’s time and money saving features will automate your daily management activities so you can concentrate on keeping your customers satisfied and spending. Each Harbortouch touchscreen POS system combines the highest quality equipment with the most advanced POS software to deliver you a high performance touchscreen POS system with no upfront costs. Contact Free Pos Pros to take advantage of this special offer and upgrade to a Harbortouch touchscreen POS system for free today! Call Now 1-888-834-2561 Ext.101 8am-8pm (PST), or use no obligation request POS FORM. Advanced reporting on-site, as well as remote management using The Lighthouse, included in our free Hospitality touchscreen POS program. 24/7 Customer Service & Technical Support, remote diagnostics, live tech support chat, on-site repairs, parts, labor, and lifetime replacement warranty. A Harbortouch restaurant touchscreen POS system is the perfect tool to help you efficiently manage your business. This state-of-the-art touchscreen POS system combines top of the line hardware and sophisticated restaurant software, making it ideal for bars and all types of restaurants, including quick service, table service and casual dining establishments. Our restaurant touchscreen POS system will enhance your payment processing and can accommodate all of your operational needs as well. Free Quick Serve Restaurant (QSR)&Delivery program includes: driver management; advanced mapping with directions on receipt; caller ID integration; item discounts, specials/coupons; customer database; add,edit,modify menu; and Advanced Reporting with over 100,000 reports. Do not forget to ask about our Free Custom Gift Card program! Streamline Your Restaurant, Bar, Nightclub, Deli, Pizza or Fast Food Operations with our new Harbortouch FreeTouchscreen POS System bundles. A Harbortouch restaurant touchscreen POS system will simplify the way you manage your business by combining multiple operations into one easy-to-use application. In addition to integrated payment processing, the advanced restaurant POS software will effectively manage your inventory and reduce losses from product shrinkage. The restaurant POS software also provides useful tools such as table tracking, a graphical table map, customized menus, automatic order routing to the kitchen and multiple time- keeping features. This easy-to-use restaurant POS software combines with an intuitive design and touchscreen interface to enable fast, accurate service, while virtually eliminating training time. Our restaurant touchscreen POS system will allow you to prepare orders more quickly, serve customers faster and reduce the time you spend on day to day office management. Harbortouch restaurant touchscreen POS also offers a wide range of available accessories ( kitchen video display, kitchen printer, digital scales, etc.) to customize your POS system for your restaurant business. Employee pay and tip reports, and much, much more. As a bonus, with any internet connection you can monitor your business and make many changes remotely using The Lighthouse, which is included with each free POS system. Harbortouch retail touchscreen POS systems can provide your business with an easy-to-use point of sale (POS) system that will allow you to manage sales, track inventory and analyze valuable customer information. New add-on Retail POS Scales are ready today! Harbortouch retail point of sale touchscreen systems will automate your day to day business operations so you can concentrate on your customers’ needs. Retailer DEMO Videos on our site viewed here at touchscreen POS DEMOS..
Harbortouch touchscreen POS systems will streamline business operations so you can concentrate on improving customer service and increasing sales. Eliminate the need for a standalone credit card terminal by processing all credit, debit, and gift card transactions through your retail touchscreen POS system. In addition to integrated payment processing, this retail touchscreen POS system enables you to manage inventory, integrate electronic payments, set multiple pricing structures and monitor employee productivity with a time clock. Speed up transactions with barcode scanning, custom retail POS buttons and an easy-to-use touchscreen interface. Harbortouch retail touchscreen POS systems even allow you to manage employee hours and payroll. Easy-to-use retail POS software combines with an intuitive design to enable fast, accurate service while virtually eliminating training time. Harbortouch retail touchscreen POS also offers a wide range of available accessories to customize your POS system for your retail business. With Harbortouch retail touchscreen POS, you will be able to take advantage of more than 80 interactive reports which will provide you with detailed data about your store and help you make more informed business decisions. The reports available on your retail touchscreen POS system will also decrease your bookkeeping expenses. Call toll free 1- 888-834-2561 Ext.101(8-8pm PST), email: info@freepospros.com , or use request info form here POS INFO. Call, email or complete contact form for complete details (FAQs), NO OBLIGATION. *Free Harbortouch Touchscreen equipment/software is only supplied with an approved merchant account and service agreement. Our affordable service agreement includes: lifetime warranty, repairs, parts, swap-outs, on-site repairs, unlimited toll free tech support calls, remote tech support, data backup, live chat, remote management/reporting Lighthouse system, etc.. THE best in the industry flat-rate equipment and 24/7 support-service agreement, wth no hidden tech support fees or software upgrade fees. Our superior quality top-of-the line Touchscreen POS Hardware, Software, 24/7 telephone and on-line support, has a LOW FLAT FIXED USE COST per system, per month, for a complete touchscreen POS bundle package, ( touchscreen, cash drawer, thermal printer, and for retail a digital customer pole display and scanner). Complete our no obligation form by clicking Send me the LOW FIXED COSTS for my Free Harbortouch Touchscreen POS Hardware,Software, and Support Bundle. No surprises! "One call or click for all of your touchscreen POS, credit/debit card, and gift card concerns, to save you time, money,and gain some peace of mind." © Keith Ragan 2011. ALL OTHER FREE POS EQUIPMENT (credit card terminals/ Casio Built-in Credit/Debit ECRs) are available, for a $79.00 per year fee, with a lifetime warranty and priority swapout/shipping of defective equipment, and with NO cancellation or termination fees. 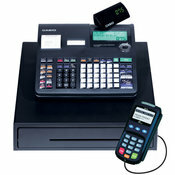 Side note: Our Free CASIO ECR program is available for merchants that do not need a touchscreen POS system right now. Call or click Free Casio Electronic Cash Register-ECR with built-in credit and debit card processing. Free Casio Electronic Cash Register Built-in Card Processing Program $79 per year! 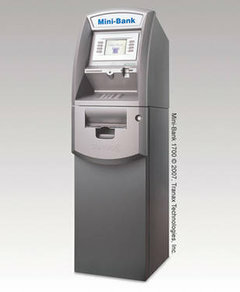 New ATMs Starting at $2450 Delivered ! Keep 100% of surcharge, with 2 Year Parts Warranty. Only available in the Unted States, Alaska, and Hawaii at this time. Thank you. Email for more info today!